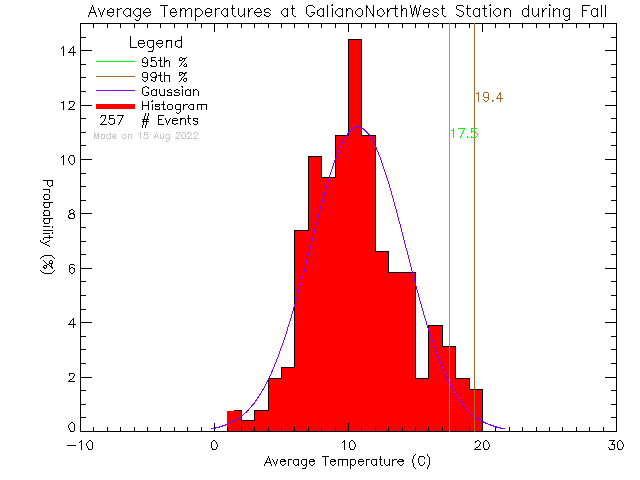 These plots show Probability Density Functions (PDFs) of daily average temperature at stations in the UVic School-Based Weather Station Network. 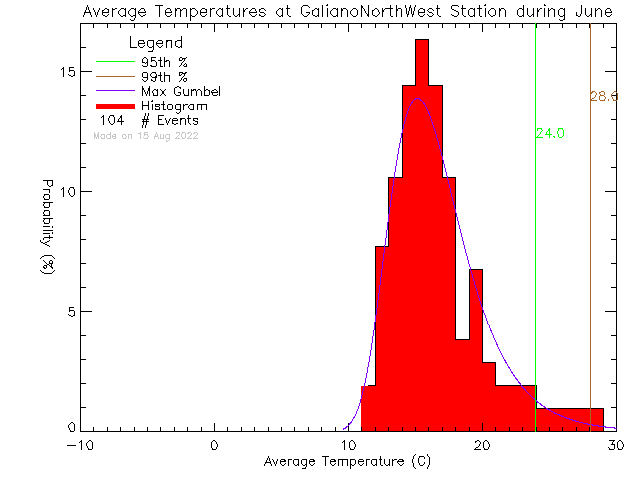 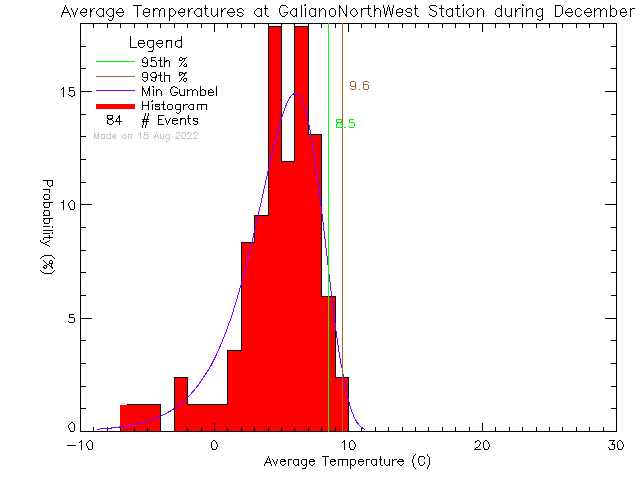 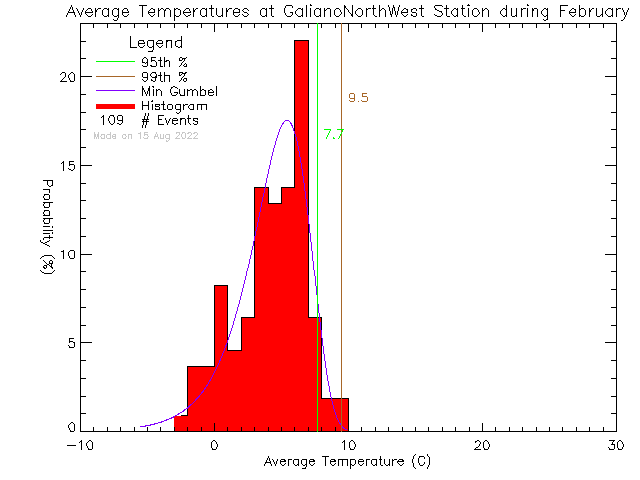 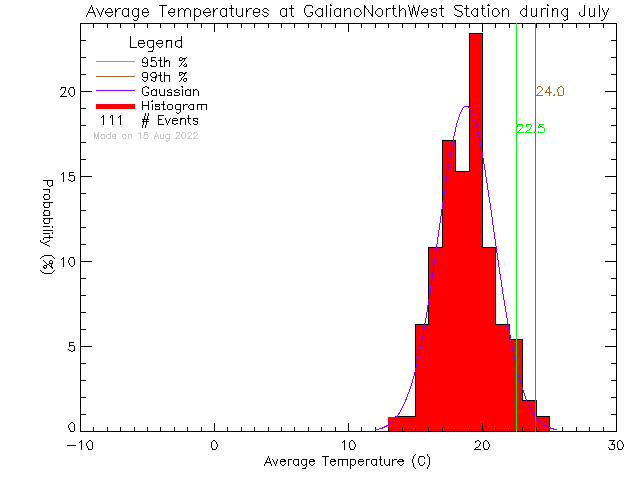 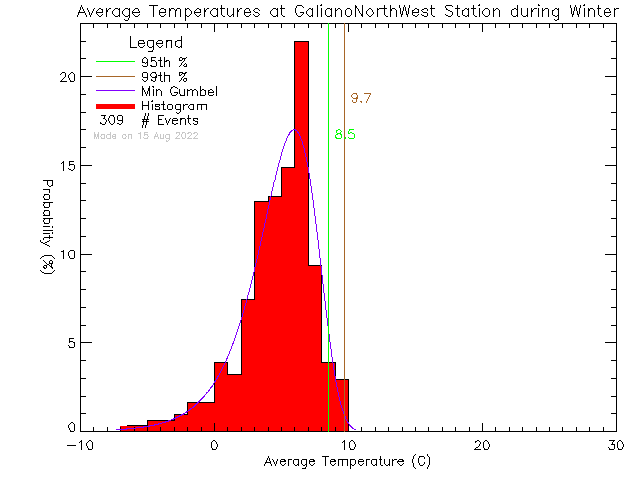 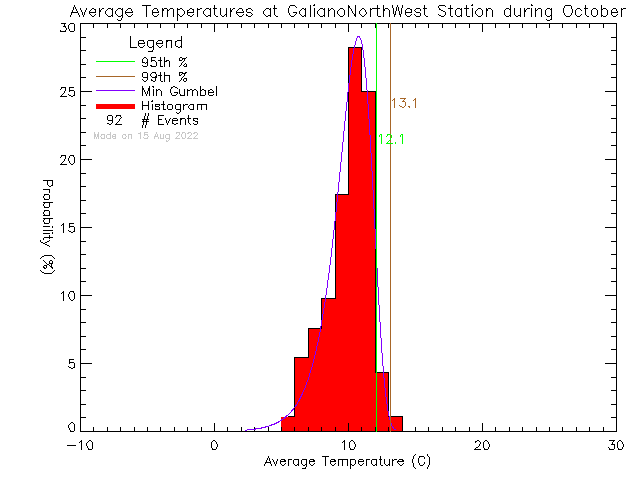 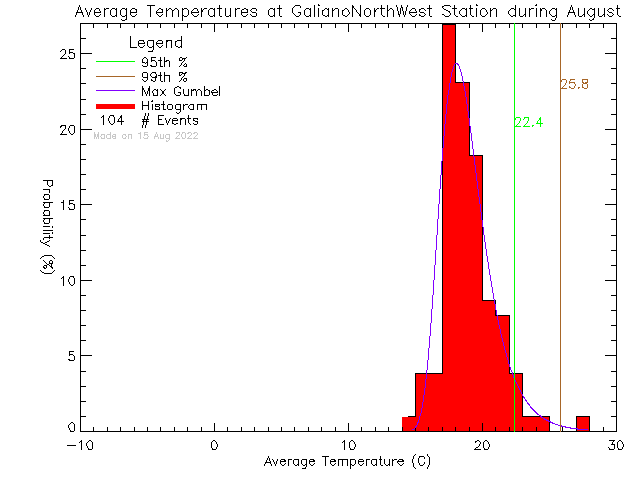 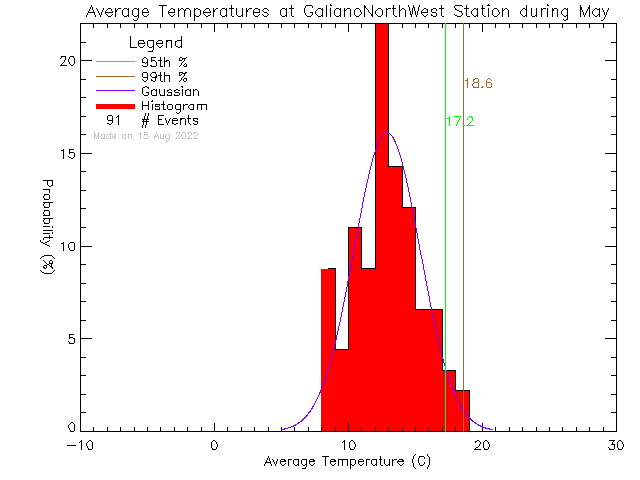 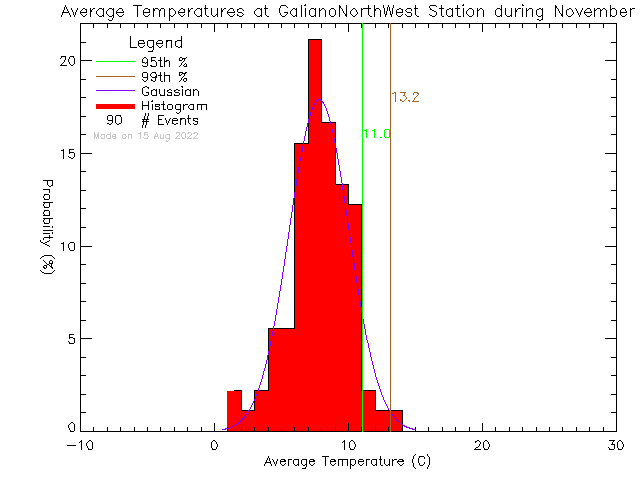 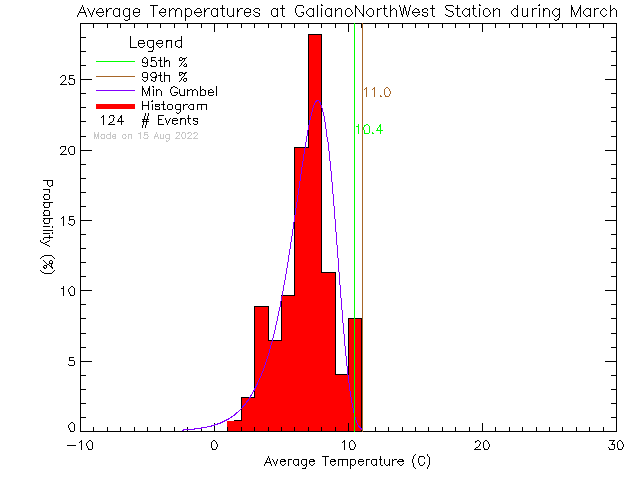 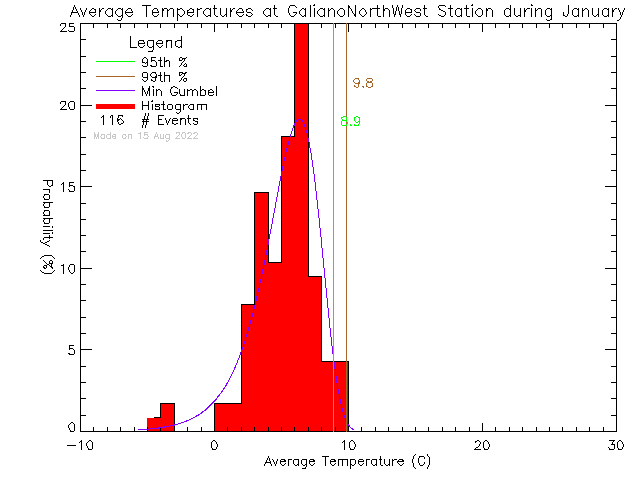 The vertical red bars show a histogram of daily average temperatures. 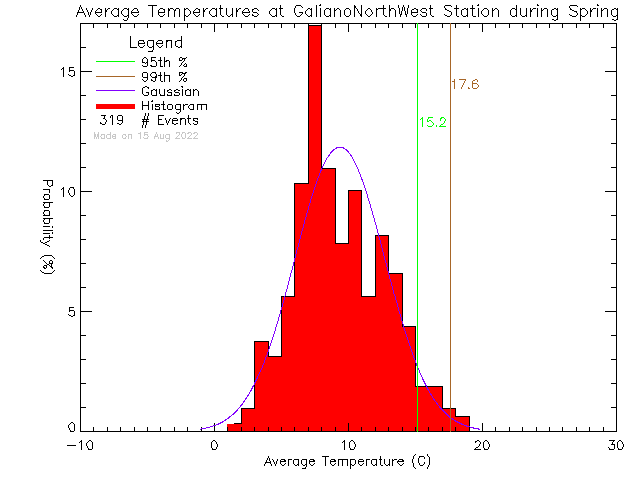 The data is fitted to one of three different probability distribution functions (Maximum or Minimum Gumbel and Gaussian), shown with a blue curve. 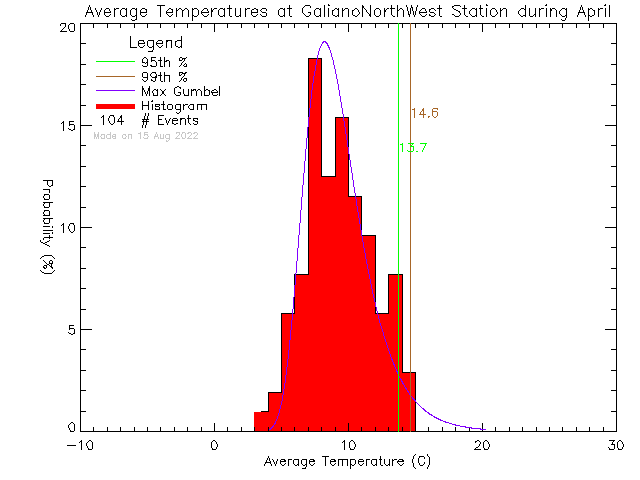 The Gumbel distributions are appropriate for fitting sets of extreme values .e.g the set of maximum temperatures. 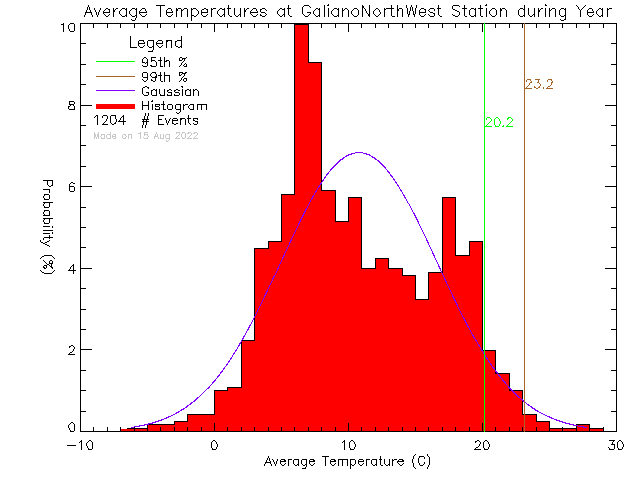 We select the fit function with the least error. 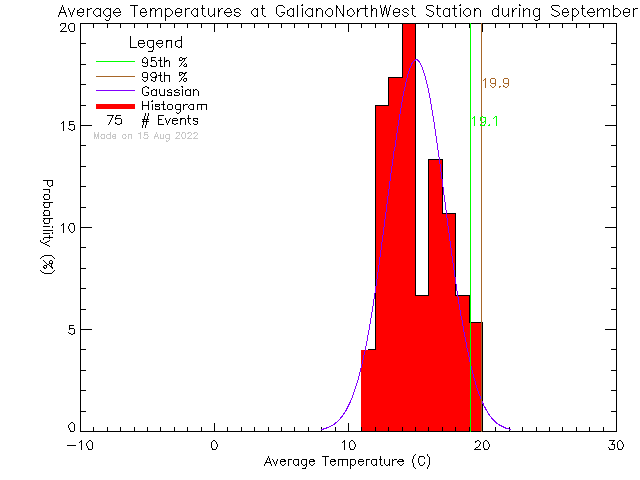 This page took 5.8 ms to generate. 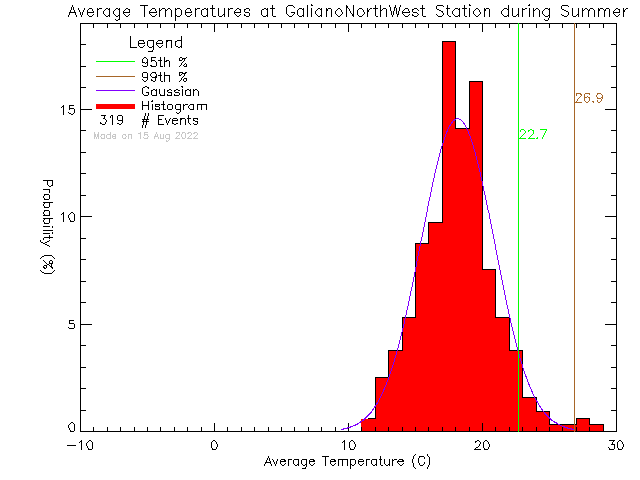 Last Modified: November 08 2018 09:09:46.